Do you enjoy watching videos on your iPhone/iPod Touch? Do you hate not being able to because your iPhone/iPod Touch cannot support the video format? Or do you hate the inconvenient and time-consuming hassle of trying to convert video formats to fit into one that your iPhone/iPod Touch can support? This is why the AVPlayer was created. The AVPlayer can play almost any computer video file format such as AVI, Xvid, Divx, WMV and much more clearly and effortlessly. No converting hassles. Just copy files via USB and just drag and drop into the AVPlayer’s Media Explorer. The AVPlayer can also support external subtitle files such as SMI and SRT. 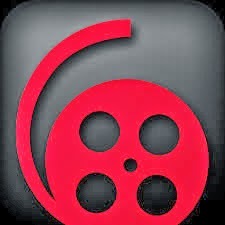 So if you enjoy watching videos on your iPhone/iPod Touch, then the AVPlayer is an absolute necessity. most of all movie file formats. 1. How to add video with USB Run iTunes 9.1 or above Device->My Device(My iPhone)->Apps, drag and drop files to the AV player''s documents. 2. The optimal speed when advancing its playing speed can differ depending on the way it’s compressed and the size. Video clips of DIVX (AVI) 720 x 480 can be fast played up to 1.3-1.5 times faster than normal. High quality video clips of 720P (1280 x 720) or more are recommended for MP4 format. MP4, MOV, M4V formats that QuickTime supports can be played up to 1080P by using H/W Decoder but, Post Processing function isn’t provided.